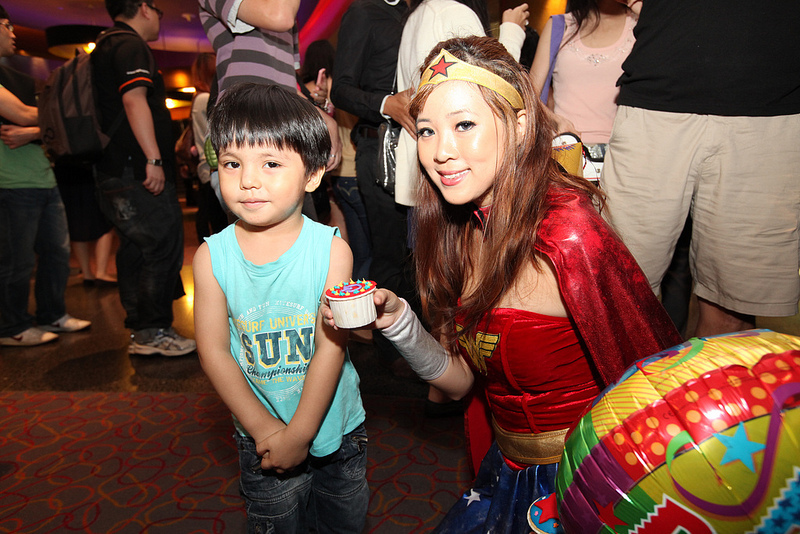 Quite the household name these days when it comes to the cinema industry in Singapore, Golden Village recently celebrated it’s 20th birthday in style that is very fitting. 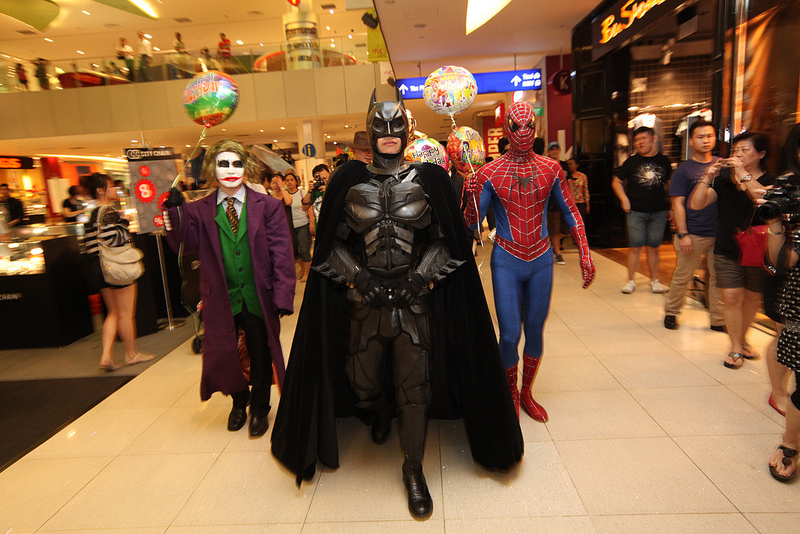 With help from the friendly people over at Movie Mania, some 20 movie icons paid a little visit to the bustling Dhoby Ghaut MRT (Mass Rapid Transport) station to the delight of the many commuters present. 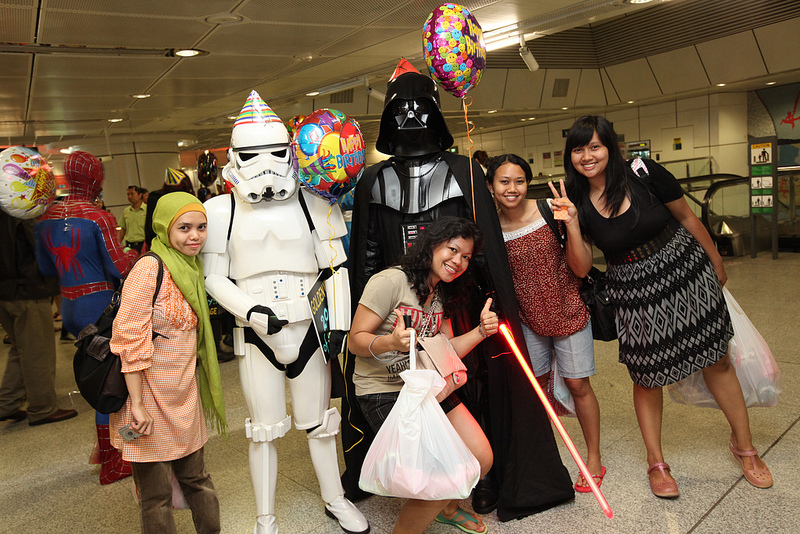 Definitely a sight to behold, commuters were treated to having the likes of Spider-Man, Batman, Bruce Lee, Austin Powers, James Bond and even the Dark Lord himself, Darth Vader from the Star Wars series, making a rare and unexpected appearance at the busy MRT interchange. 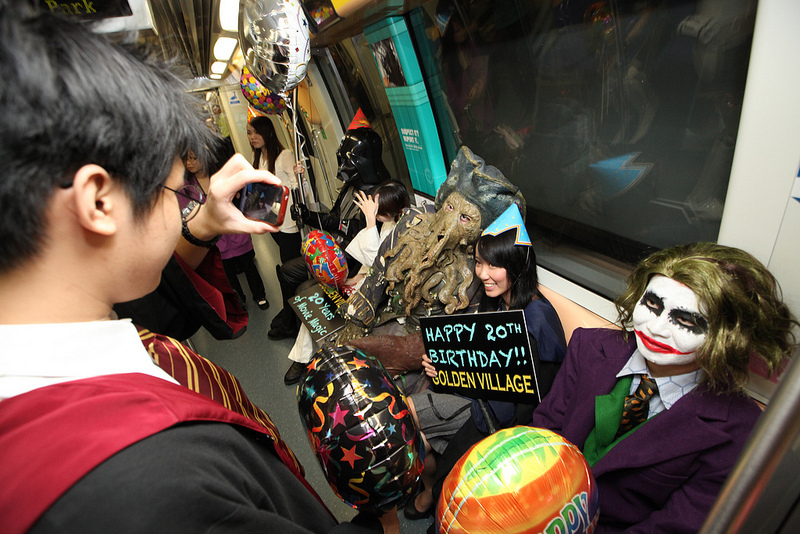 Commuters were of course initially stunned at the appearance of the movie icons, but once they started recognising these popular culture figures, a sea of cameras appeared as everyone wanted to get a shot of the action. The final destination for these movie icons was the Golden Village VivoCity and shoppers to VivoCity got their chance to see these movie icon up close and personal as well. When asked about the whole MRT taking incident, Organisers explained that the mascots opted to use the MRT train service to “avoid the rush hour traffic”. Talk about good planning! We at POPCulture Online would also like to take this chance to wish Golden Village a very happy 20th birthday and many many more good years ahead!